A tale of spies and deceit. Hitchcock delivers a masterpiece full of suspense, thrills and deception! 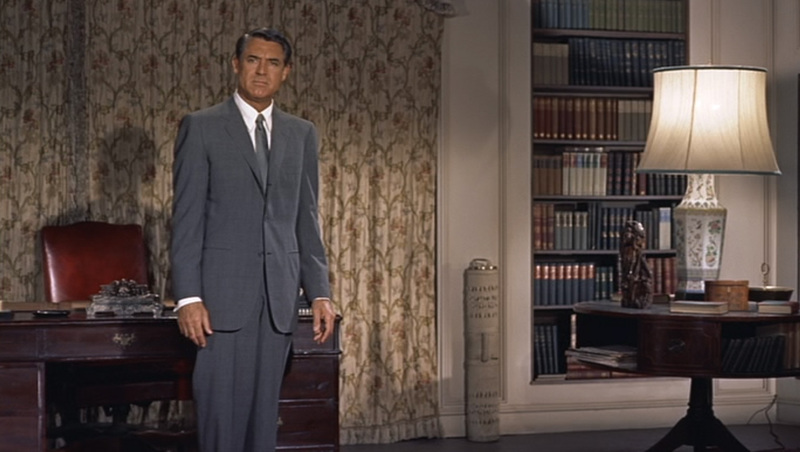 North By Northwest is Hitchcock’s forth collaboration with Cary Grant after the successful thriller To Catch a Thief which included Grace Kelly. Grant portrays Roger Thornhill, an ordinary man who is mistaken for a spy by another spy (James Mason) who calls him “George Kaplan” and wants answers. Thornhill, wanting to clear his name, goes on the run, wanting to know why he is involved and meets the helpful but mysterious Eve (Eva Marie Saint). Eve Kendall: Patience is a virtue. Roger Thornhill: So is breathing. The music scored by Bernard Herrmann is also composed beautifully, connoting suspenseful crescendos and a frightful tone to Roger’s action packed adventure. Certainly, one of the best films Hitchcock made in his long and successful career as the greatest filmmaker of the 20th Century! I highly recommend watching this not only as a fan of Hitchcock, but as a fan of the cinema! Classic, deceiving, thrilling and an amazing example of a film within the 50s era!